Caribbean, - 2 people like this. Great memories and stories are wonderful mementos of your Caribbean vacation, even photos to share with your friends. Even better if you can share those memories at home along with some flavor of the islands. Here are some tips to help you shop. If the taste of the tropics for you is a rum cocktail, you won't want to miss a tasting in the islands, and the opportunity to bring home a bottle you might not be able to find at home. Many, many islands grow their own sugar cane and produce their own brands of rum, each claiming subtle variations in flavor, color and strength as a result of local growing conditions, production, and ageing techniques. Tradition holds that the first rum in the islands was produced in Barbados, so if you're a purist planning a rum odyssey, put a rum tour of Barbados on your bucket list. Another rum experience not to be missed is the tasting tour of the world's largest, family-owned producer of spirits, Bacardi, in Puerto Rico. Watch our BestTrip.TV video, above, where we meet the head of the Bacardi family today, and learn how to make a classic rum cocktail. Or put on your scuba gear to discover the one place in the world it might be ok to 'drink and dive' (not really). Seven Fathoms Rum, a distiller in the Cayman Islands ages its rum in casks in a secret location underwater off the coast – at exactly seven fathoms deep - where they say there are perfect, consistent ageing temperatures for out of this world rum. But you'll have to taste it to decide. Where to buy: Jamaica, Puerto Rico, Dominican Republic, Haiti. If the best part of your day is your first cup of coffee, you won't want to miss the local coffee on some of your favorite Caribbean islands. Jamaica's Blue Mountain coffee is the best known Caribbean coffee, with a history dating back hundreds of years, and an ideal climate on the steep, shaded slopes of the country's Blue Mountains at elevations between 1500 and 5000 feet. Slow-ripening in the shade, picked by hand on the steep, treed slopes, Blue Mountain coffee isn't cheap. But it's considered one of the world's most premium coffee varieties, its name protected by government regulation like wine regions are protected elsewhere. Many plantations keep their operations private, but a few offer tours and tastings. Plus you'll enjoy the cool air high in the mountains, in contrast to the heat on the beaches. Extend your Blue Mountain coffee drinking well into the evening with a sip of Tia Maria liqueur, made from Blue Mountain coffee. There are other coffee producing islands, too. 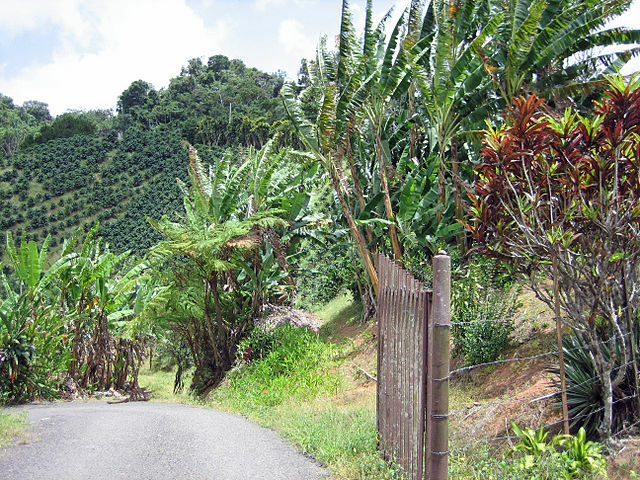 Puerto Rico is a leading world producer of coffee, especially in the South-Western mountains. And both countries on the island of Hispaniola: the Dominican Republic and Haiti, also produce their own uniquely-flavored coffees. In the Dominican Republic, most coffee growing takes place in the mountainous region above Jarabacoa. While Haiti is a less-developed tourist destination, visitors to Royal Caribbean's port of call at its Labadee resort can support local co-op coffee growers by purchasing local coffee on your cruise. There's no better way to make a relaxing vacation linger than a souvenir box of cigars. It's been said the real luxury of cigars is not so much the cost of even the priciest cohiba. It's the time it takes to properly, leisurely smoke a lengthy cigar. In a world where time is increasingly money, investing the time to smoke a cigar may be the ultimate luxury. The image of sultry young women rolling cigars on their thighs in days of yore in Cuba is still a part of the mystique of cigar culture. When Cuba became cut off from the rest of the world, other Caribbean producers had their chance to shine. 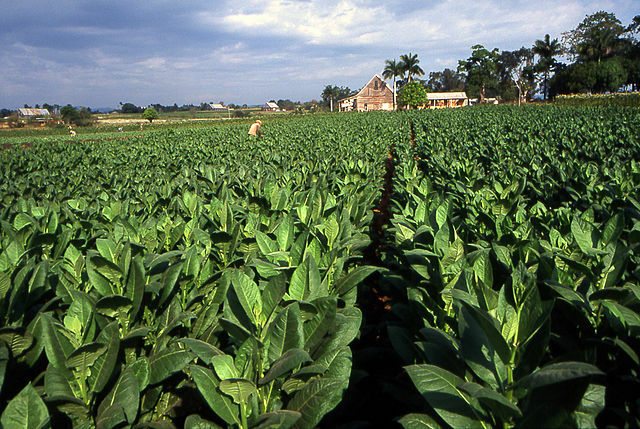 Aficionados consider cigars to be like fine wine: each tobacco region has its own 'terroir'. In cigar 'tasting's, you are introduced to the subtleties contributed by the unique soil, minerals, light and variety to the unique flavor of cigars from different Caribbean islands. You can tour tobacco plantations and cigar factories (where, advance warning, attractive young women do NOT roll cigars on their thighs) in rural areas of the Dominican Republic, Jamaica, Barbados and yes, still Cuba. Here's 1 comment for "Shopping Tips: 3 Tastes of the Caribbean"
I will be travelling to the Caribbean Islands this year, so thank you very much for these wonderful tips.